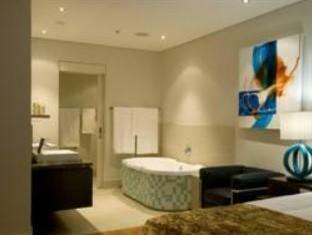 ﻿ New Kings Hotel Cape Town. JIMAT di Agoda.com! Ada soalan mengenai New Kings Hotel? Terletak di Sea Point, New Kings Hotel merupakan tempat menarik untuk memulakan pengalaman di Cape Town dan kawasan sekitarnya. Hanya 3.4 Km dari pusat bandar, lokasi strategik hotel memastikan tetamu boleh ke mana-mana sahaja dengan cepat dan mudah ke tempat-tempat tarikan. Untuk pilihan bersiar-siar dan tempat daya tarikan tempatan, pelancong tidak perlu pergi jauh dari hotel kerana ianya berdekatan dengan Kolam Renang Sea Point, Sea Point Pavilion, Pro Divers. Di New Kings Hotel, perkhidmatan yang cemerlang dan kemudahan yang unggul menjadikan penginapan anda tidak dapat dilupakan. Untuk keselesaan dan kemudahan tetamu, hotel ini menawarkan Wi-Fi percuma semua bilik, khidmat bilik 24 jam, fasiliti tetamu kurang upaya, Wi-Fi di tempat awam, tempat letak kereta. Semua penginapan bagi tetamu menawarkan kemudahan yang difikirkan dengan teliti bagi memastikan rasa selesa yang sukar ditandingi. Rumah urut di hotel merupakan tempat yang ideal untuk anda relaks dan tenangkan diri selepas hari yang sibuk. New Kings Hotel merupakan tempat yang ideal bagi penginapan pelancong yang mencari keindahan, keselesaan dan kemudahan di Cape Town. We enjoyed our stay, the staff was friendly and helpful, The breakfast was delicious! The beds were comfortable and cosy and the WIFI was great. We were accompanied promptly if we needed room service. There is however major room for improvement, taps leaked, when we showered the floors got soaked, they supply you only with one small towel for these cases, the AC is outdated, not much TV channels, we had to stream Netflix rather from out own devices. But we enjoyed our stay, it is value for your money. Good location, good breakfast friendly staff and clean place. Friendly staff and great location for food. All were good: location, staff, room, and cleaness. Just agoda's description on view might be sometimes misleading. I booked a deluxe room with mountain view, but it was actually city viewing room. Also, during severe drought (water shortage) periods, bath tab plugs are removed from the bathroom. (Cape Town is experiencing the worst drought ever right now) But these are minor details. I felt comfortable all time during my stay. 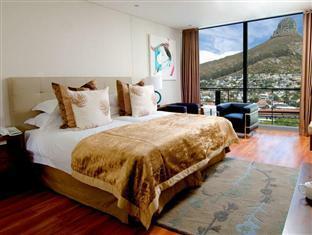 I requested a room with a great view as we were spending he weekend in Cape Town for my husbands 40th. I made a note with this request on the booking,followed up with an email and I phoned the hotel to make sure. On arrival our room(510) looked over a building site. No Mountain View and could just see the sea if we opened the window and looked out. Extremely disappointed. Top prijs/kwaliteit verhouding. Aardig personeel. The room was beautiful and clean. Friendly staff. Really enjoyed our stay. This hotel was good value for money. My husband and I needed to spend some time away close to the beach. The location was excellent and the breakfast was just outstanding. I loved the view of the mountain from my room. I would definitely come to this hotel again! Breakfast was the worst I had in South Africa! Not clean at all. Also, bathrooms are not clean, pretty eroded . Issues with hotel reception about room and some issues were not resolved. 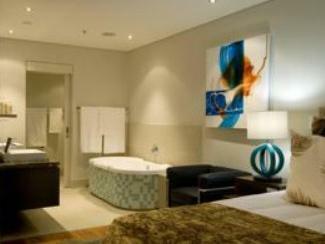 We stayed for a week, the rooms are large and bright, with modern new furnishings. The Staff where very friendly and helpful. Rooms where very clean and the breakfast great. Parking was easy and the hotel centrally located. Only downside was that only two rooms have balconies but the staff where very helpful to move us to a room with a balcony as soon as one became available. Good laction good value for money. Windows wouldn't close. Noise from the conference room above us. Room wasn't cleaned before we arrived. The room hadn't been cleaned, only the bed was made. The shower and bath were still dirty from the last occupant and they hadn't vacuumed the floor. At night we couldn't sleep because the wndows wouldn't close and we could hear the wind all night. Above the room was a conference room were staff kept going in to sleep while on night shift and we could hear them dragging chairs and talking. I insisted on a new room and was upgraded but I still wouldn't stay there again. Very convenient location close to beaches and waterfront area. With SPA,groceries and coffee shops just below the hotel. 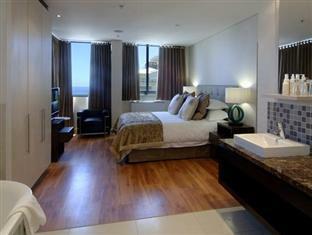 Great room, spacious with partial sea view and well designed with ipod dock (speakers in ceiling). Bathroom with big bath tub and separate shower a bonus! Enjoyed the buffet breakfast too. Seagulls making a noise early morning can be good or bad at times.